Contact Us With Your Divorce Questions. Today it seems like many people live on their cellular phones. According to CTIA The Wireless Association, 302.9 million people in the U.S. (over 96% of the population) own a cell phone. As cellular and smart phones become more sophisticated and keep us more “connected,” they also leave a digital trail that can be used in a divorce. This includes records of text messages, emails, and call histories. This digital trail provides an often detailed record of what the person was doing, planning and thinking at any given moment. Even though it may seem like an invasion of privacy, evidence taken from a cell phone is permitted in most divorce proceedings, and the trend to use cell phone evidence is increasing. A survey by the American Academy of Matrimonial Lawyers (AAML) found that 92% of attorneys reported a rise in the use of evidence taken from a cellular phone and 94% of attorneys reported an increase in the use of text messages as evidence. Evidence taken from a cellular phone is often used to prove adultery, dissipation of marital assets, and other problematic behavior in a divorce proceeding. Florida is a no fault state for divorce purposes. This means that either party may ask for a divorce without having to prove that the other party committed adultery or was at fault in any other way. However, text messages and other cell phone evidence that shows proof of adultery and squandering of marital assets can be used as evidence in many other ways. Additionally, text and other cell phone evidence of any other activity that may pertain to the parent’s moral fitness will be considered. For example, evidence of gambling, drinking, or other questionable activity may be used against a parent during child custody proceedings. Evidence of threats made to the other parent via cell phone are always relevant. Evidence of adultery on a cell phone may have an impact on division of marital property and debts. Being an equitable distribution state, in Florida marital assets and debt are usually divided evenly upon divorce. However, a spouse may overcome the presumption of equitable distribution by showing evidence that a spouse intentionally wasted or dissipated marital assets. A judge will consider cell phone evidence of gifts, trips, rent and other expenses for a non-marital partner when awarding each partner their share of the assets and debts. Accordingly, a cheating spouse’s share of the assets may be reduced or their share of the debt may be increased to compensate the other spouse for the waste of marital assets. 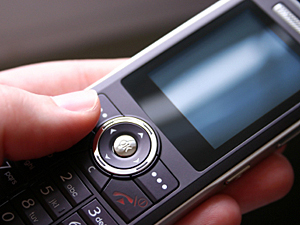 Jacksonville divorce attorneys agree that preserving text messages may be difficult. If a client thinks that a particular piece of cell phone evidence may be useful in future litigation, the client should not rely on the cell phone company to keep records of text messages or emails. It is often the case that most cell phone companies do not keep this type of records. It is recommended that clients preserve important text messages by saving them on their telephones and either taking a photocopy or digital photograph of the incriminating text message. If you are contemplating divorce, it is important to contact an experienced Jacksonville divorce attorney to discuss your rights. Contact Dorsey Law For Your Consultation. Contact Us With Your Divorce and Taxes Law Questions. Divorce can be one of the hardest periods in an individual’s life. The process of divorce is sometimes painful and always complicated. There are several issues that must be addressed and dealt with before finalizing a divorce. One of the most unpleasant issues is taxes. Divorce affects the way an individual files his or her taxes and has implications for what income is taxed and what is deductible. It is important to understand and discuss the intersection of divorce and taxes with an experienced attorney early on to avoid problems and misunderstandings in the future. Divorce has tax implications on alimony, child support, claiming a child as a dependent, among other issues. Alimony is taxable income to the recipient and deductible by the payer. Alimony, also known as spousal support, should be clearly defined as such in the divorce agreement. Alimony payments are an “above-the-line” deduction and do not have to be itemized by the payer on their return. For the individual receiving alimony, it is treated as earned income. Since tax is not withheld on alimony payments, the recipient may need to make estimated payments or increase the withholding amount in their paycheck. Child support is not taxed as income to the recipient and not deductible by the paying parent. The exact terms in the divorce agreement may have serious tax implications. Only child support is tax-free. If a divorce agreement lumps spousal and child support payments into one category under “family support,” “alimony,” or does not specifically state that the payments are for child support, it is likely none of the payments will be considered child support for tax purposes. There is also a question of which parent can claim the child as a dependent on their return. The general rule is that a parent may claim a child as a dependent if he or she provides at least 50% of the child’s support during the tax year. This is easy for families living together. In divorce, the custodial parent usually gets to claim the child as a dependent. For the noncustodial parent to claim the child as a dependent and get the child tax credit, the custodial parent must file Form 8332 to release the child to the noncustodial parent for tax purposes. If a custodial parent qualifies to file as head of household under these circumstances, the custodial parent may still be eligible for Earned Income Credit (EIC), child and dependent care credit and exclusion for childcare benefits for that child. To qualify for head of household status, a person must (1) be either unmarried or considered unmarried on the last day of the tax year (December 31), (2) have lived with the qualifying child for over six months of the tax year, and (3) have paid for over 50% of the cost of keeping up the home during the tax year. To be “unmarried” a person must have filed a separate return, not lived with the spouse for over six months, paid more than 50% of the home upkeep, and the home must have been the child’s main residence. 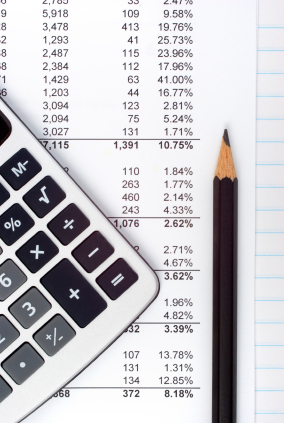 The above are just a few of the tax implications of divorce. There are many other issues including possible effects to your IRA or other retirement savings, property, etc. Divorce is always complicated. Discussing your options with a Jacksonville divorce attorney early in the process will minimize future headaches. Contact Us With Your Divorce, Alimony and Custody Law Questions. Contact Us With Your Divorce and Custody Law Questions. If you’re like most people, you wish all families, including your own, could live as Ozzy and Harriet without issues of separation, divorce, and child custody. As you know, none of us live like Ozzy and Harriet; however, this means that you are not alone. Divorce and child custody issues are commonplace; so, there is a lot of support for you, your child, and your child’s other parent. A good place to start is with our article, 6 Simple and Effective Ways to Make Child Custody Issue Easier for Your Child. If you have specific questions about your individual situation, consult with a qualified family law attorney. Do not use your child as a messenger; always communicate directly with your child’s other parent, but keep children in the loop on a need to know basis. This shields your children from divorce related communications, but keeps them feeling a part of the family and somewhat in control. If you absolutely cannot communication effectively with your ex, your family law attorney can represent your interests on your behalf. Unless you suspect abuse, never withhold your child from his or her other parent to punish your ex. You’d actually be punishing your child and creating unnecessary upset. Instead, let your family law attorney handle any breakdowns in child support payments or communications. Do your best to communicate to your child that you, your ex, and your children are still a family, but in a different form. Emphasize that you both love your child and that all of your child’s will be met; further, emphasize that the divorce is not your child’s fault. Counseling and support groups will likely help your children deal with the pain of divorce and separation from his or her other parent. Get good legal advice so that your child receives the medical benefits and financial support that he or she deserves. Discuss your rights regarding child support, as either the custodial or non-custodial parent, with a qualified family law attorney. Do not discuss these financial issues with your child. It’s too scary and damaging. Use a service such as Our Family Wizard to coordinate schedules and foster communication, as well keep track of child support payments and expenses with your ex. Your child can also have access to certain aspects such as the family schedule. Grandparents, your family law attorneys, the court, and other professionals can also be kept in the loop with this service. If you or a loved one is going through a separation or divorce, or expects to go through a separation or divorce, consult with a qualified family law attorney. We focus our practice on child custody, divorce, and family law and you can reach us at (904) 346-3883 or by email at info@dorseylawjax.com. Our office is located in Jacksonville, Florida; your next step is to contact our office for a consultation. Contact Us With Your Custody Law Questions.